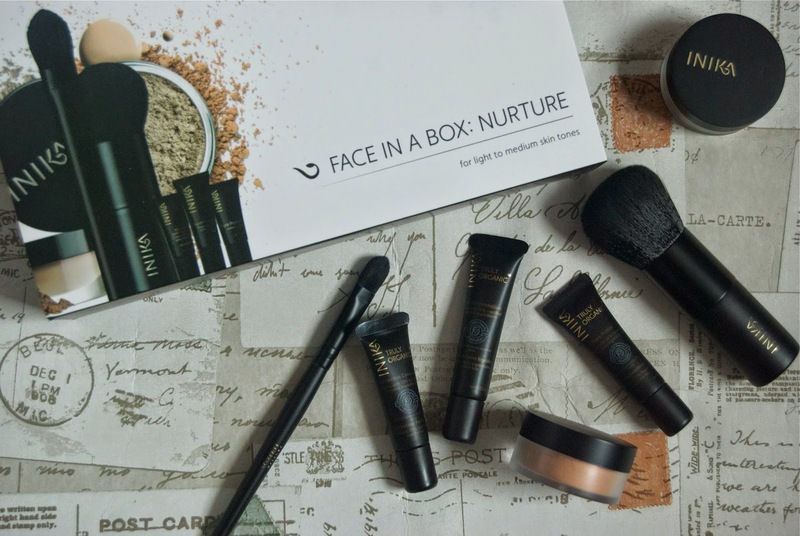 I hadn’t heard of beauty brand Inika before, the lovely people from Beauty Expert sent me the Face in a box in the colour Nurture. Inika are a complete cruelty free brand and are certified with the UK vegan society. The set itself contains the mineral foundation, their mineral bronzer in sunkissed, the vegan kabuki brush and the vegan contouring brush. Also included are trial sizes of their organic liquid mineral foundation, the organic concealer and their organic pure primer. I’ve never used a mineral product like this one before, I guess I tended to avoid them because I didn’t think the coverage would be what I needed. Trying out this kit taught me that mineral products like these are totally buildable and you can get the desired effect. I really wanted to achieve one of those no make-up make-up looks that I’ve been seeing everywhere since fashion week. As I get older I find I prefer my make-up to enhance my features not hide things away. I started by moisturising with my normal products and then I applied the concealer over dark spots and on places I wanted to highlight. I went in with the contouring brush and blended it all out. Then I decanted some of the mineral foundation into the lid, swirled the kabuki brush around and tapped off the access. I applied this to my face in swilling motions, making sure I was working from the centre to the outside of my face. Finally I decanted some of the bronzer into the lid and had a good go at contouring my face. I add shadows to make my features pop. Overall I was really impressed with the kit and the products, They are easy to use and it feels really light on the skin, it seemed to let the skin breathe more than normal foundation.